Leveraging our long time expertise in both traditional and Microsoft-based communications solutions, our deployment services program is designed to help you select the best platform for your company, and deliver the end-to-end services required for a smooth and successful transition to your new solution. Assess – We start by working with your internal project team to assess and understand your organization’s requirements and business continuity goals. Plan – Once the design has been approved, we will work with your team on the implementation plan which will include: system setup, auto attendant and contact center configurations as well as SIP trunk and SIP end point provisioning. Deploy – We’ll schedule and deploy the solution based on the implementation plan to ensure a smooth cut over to minimize any down time. 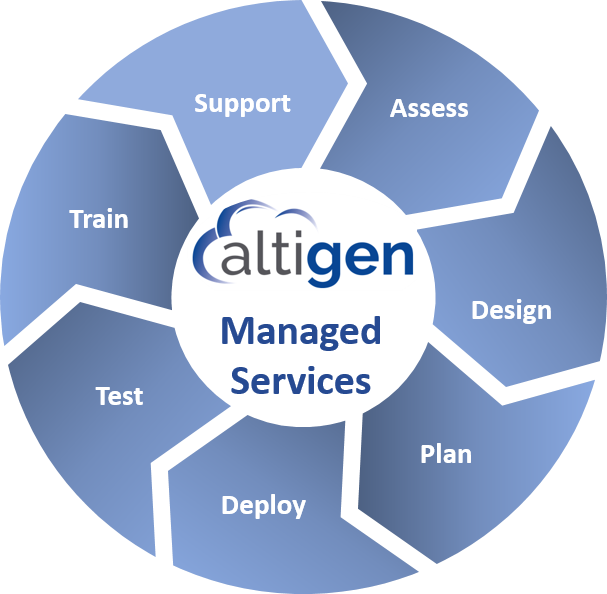 Test– Once deployment is complete, the entire solution is thoroughly tested to ensure requirements have been met and all systems are functioning. Train – Upon completion of testing and verification of all capabilities, we’ll conduct administrator and end user training, if required. Support – Our technical support organization is available to provide you with Tier 1 support which includes troubleshooting technical issues as well as assist you with Move, Adds and Changes (MACs).